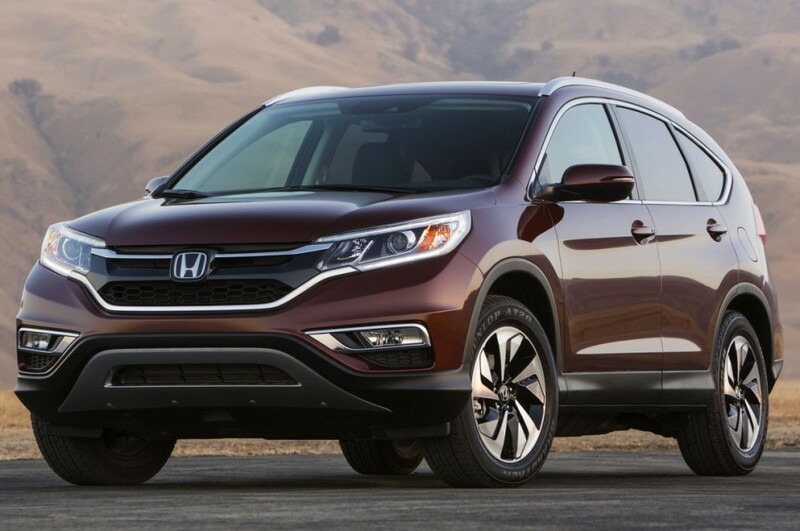 Next-Gen Honda CR-V is expected to debut later in 2016 or early 2017. 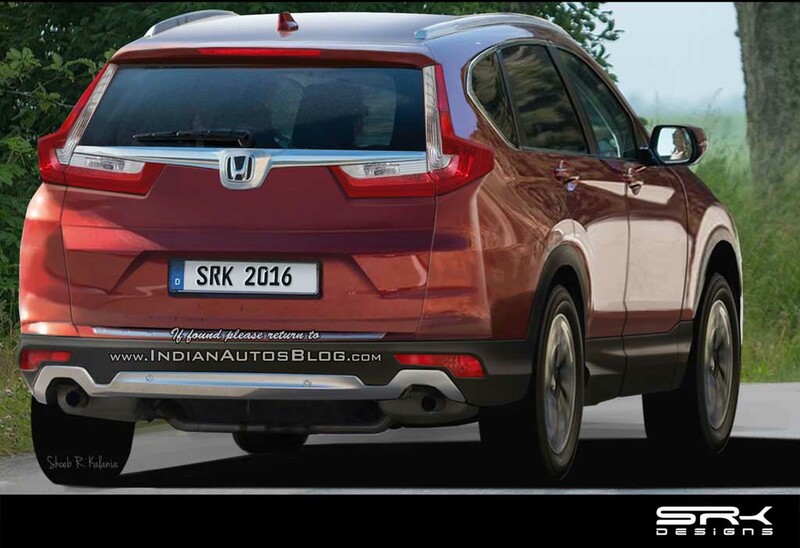 Indian Autos Blog posted a rendering image based on the spyshots, which suggests, how the next generation Honda CR-V’s rear profile going to look like. The silhouette of the next generation 2017 Honda CR-V looks similar to the outgoing fourth generation model. The new design taillamps come in L shape and the taillamps are connected through a sleek chrome strip just below the rear window. The chrome strip houses the Honda logo at the centre. According to Honda designers, the connected taillamps are something which enhances the style of the car. Recently launched Honda BR-V also comes with connected taillights. Dimensionally, the upcoming next generation Honda CR-V will come with an elongated wheelbase, which is 80 mm longer than the outgoing model. This expanded wheelbase will enable the new CR-V to afford a third row seating. Eventually, this is the first time The Honda CR-V will offer third row seating. Although Honda doesn’t boast a success story in Indian market with the Honda CR-V, but in the changed scenario the Japanese automaker is hoping for better result with the 2017 CR-V.
Expect the car to hit the Indian shores with a year after the global debut. Honda Car India is planning to increase the localization of the CR-V manufacturing up to 65%, which will significantly reduce the cost of the car. No wonder, Honda is cautious about the pricing of the car, as the higher price tag has been the prime reason behind the failure of the CR-V in India in past. The 2017 Honda CR-V will be powered by VTEC turbo petrol engines and i-DTEC diesel engines. The petrol engine will be a 1.5 litre turbo unit while there will be a 2.0 litre larger VTEC engine also. The 2.0 litre VTEC petrol engine is expected to produce power under the hood of the top end variant which will also adorn 4WD system.